Today I'm hosted for a Wall Chat on the Where Writers and Authors Meet page on Facebook. We'll be chatting about virtual book tours and I'll be sharing loads of tips and advice. 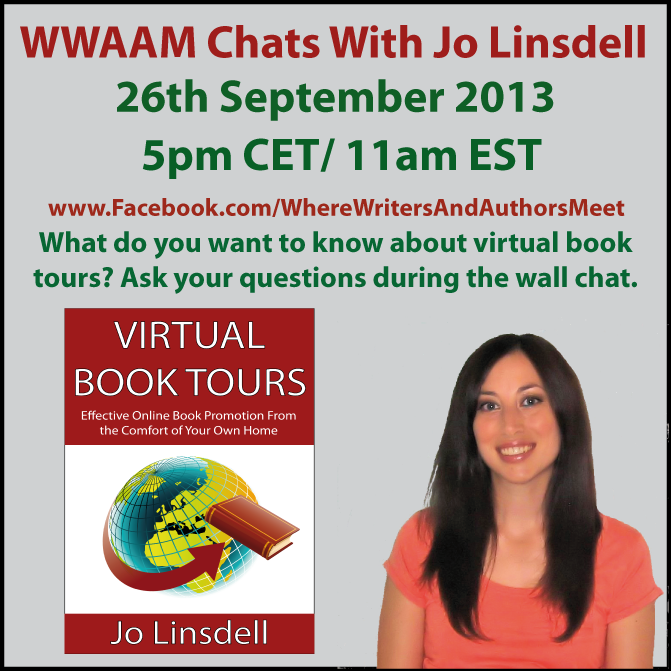 The chat will be taking place at www.Facebook.com/WhereWritersAndAuthorsMeet at 5pm CET/11am EST. Everyone is welcome to post their own questions for me directly to the wall during the chat.